There’s a bridge building project going on at our house. It’s not a development for a county road or new plan to improve traffic flow. It’s actually a much smaller undertaking. In fact, as far as bridges go, it’s tiny. 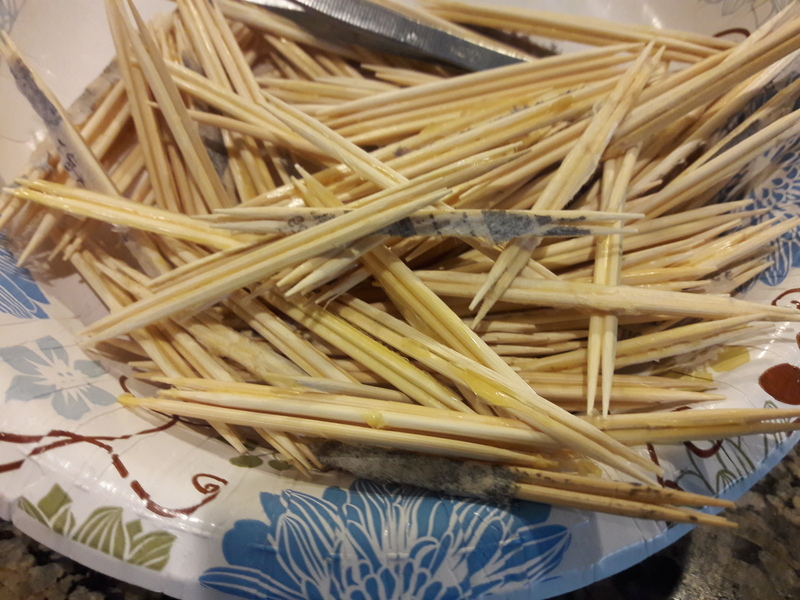 It’s actually sitting on our kitchen counter right now… and made of toothpicks. 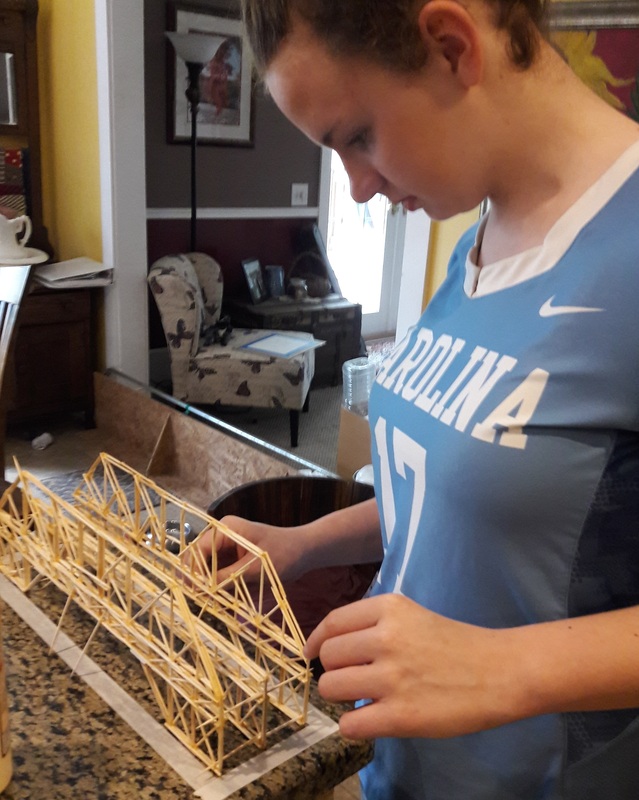 My youngest daughter, Leia, is nearing the end of her physical science class and the final project assignment is to construct a bridge using only bamboo toothpicks and wood glue that can pass a strength test of 90 pounds of downward force. She has 5 weeks to complete the task. Unlike the typical high schooler, she’s not one to put off work until the last minute. She really doesn’t like the pressure of a deadline so normally completes her work far in advance, and this assignment has proved to be no exception. She was eager to get started immediately after her teacher approved her design. And since this task allows students to get assistance from family members, Leia has wisely sought the counsel and guidance of her very capable Dad. 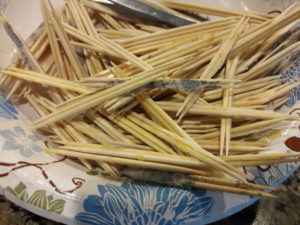 But like basically every other kid her age, patience isn’t her strongest characteristic and since Clif wasn’t helping as quickly as she wanted, she launched into the project herself by starting to glue bundles of toothpicks together on her own. This activity made her feel like she was accomplishing something, but now that the project is fully underway, she realized that all her earlier work is still sitting in a bowl – unused. And just yesterday she pointed out how much effort she had put toward sticking those picks together but that none of them were actually part of the bridge. I couldn’t help but think of how many times we make the same mistake Leia made. We’re so eager to get going on our particular project that we forge ahead without waiting for specific instruction. We may even seek the counsel of our Heavenly Father, but when He doesn’t move according to our timetable, we often launch out on our own. The activity of “getting things done” may make us feel better, but often we discover the same thing Leia did. By refusing to wait for God to show us what to do first, our spiritual version of gluing toothpicks together becomes a waste of valuable time, energy and resources. It only takes a brief reading of scripture or a causal survey of current events to reveal the catastrophe that can come as a result of moving ahead too fast. Impatience causes us to become distracted, or worse, irritated because it seems to take too long for God to answer our prayers or to ‘get on with the (our) program.’ And while impulsively rushing ahead on a school project only means wasting a few hours and some toothpicks, spiritual impatience can cause us to make bad decisions and serious mistakes that can sidetrack us for years. Always keep in mind that God isn’t in a hurry. He doesn’t ‘overnight’ His guidance, nor speed us through the process of maturity because we become weary of delays. If we want His best, we have to adjust ourselves to His timetable, and that can mean a lot of waiting. But just because God doesn’t download all the information we want instantly doesn’t mean that there isn’t a plan in place. So while you pause to allow the Lord to reveal what to do next, commit yourself to persevere in faithfulness. Allow our Creator to set the pace for accomplishing His projects, knowing that His plan will be strong enough to stand the weight of any test. Wowee, can I ever relate to this! I am guilty of moving ahead of God on many occasions. You’d think I’d learn…I guess I choose to learn the hard way instead. Wow, that was amazing! I’ve been struggling with that for months. You’re right that maturity can’t be rushed. I’m not good at the waiting which is why God doesn’t usually tell me in advance when He’s preparing me for something. He’s currently testing me on this very subject so I was grateful to read your blog today. I’m so glad you were encouraged and God used this post to help you know Him better. Best thing for me to hear! Bless you for sharing! Thanks! Our culture teaches waiting as a negative but on God’s terms, I’ve always found it to be a blessing! His timing is always perfect. 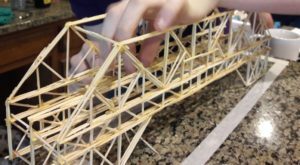 Great job on the bridge! I think if we could see the consequences of NOT waiting then we’d choose the delay ourselves! thanks for stopping by June! Yes she is working hard. Not quite finished at this point, but then maybe that’s another analogy… about being persistent and dedicated to a task even tho sometimes it’s tedious and takes a long time! Thanks Brenda! Karen, this post brought me fond memories of my own toothpick bridge way back in high school! And your topic is one that God has had me on all week…waiting for instructions. Thank you for sharing! Glad that you enjoyed the visit to memory lane! and in this instant world we live in, all of us can learn to wait on God a little better I think! thanks for stopping by! While normally very patient, I have found that I am not as good at this in my personal relationships and trying to force an outcome always backfires. Work in progress. Learning to put more trust in his promises and not try to control situations. Reign in my emotions and think more rationally or flat out distract myself with another task. 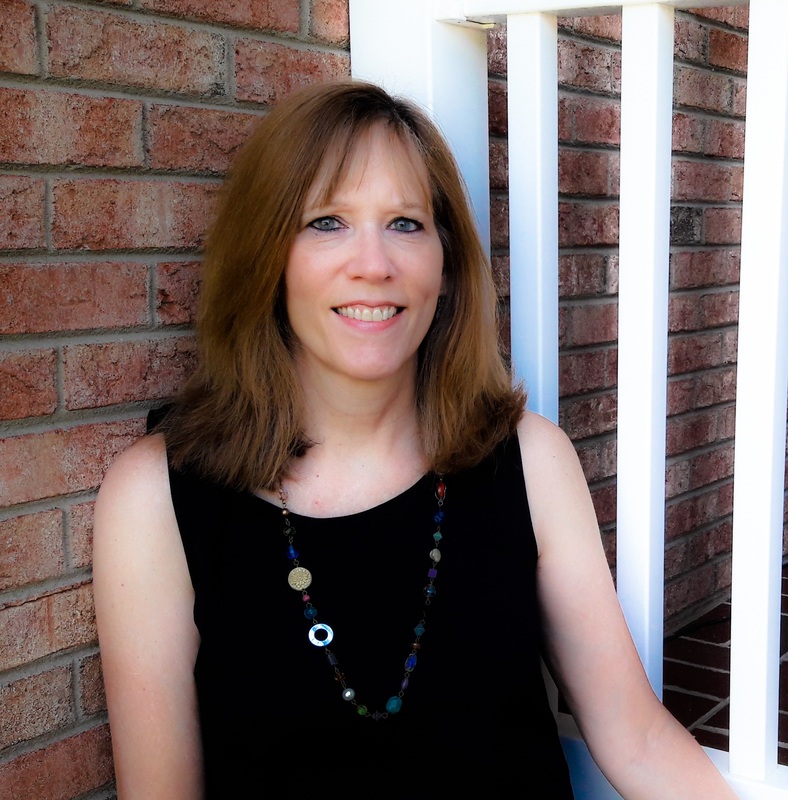 Visiting from Jaime’s linkup! It does backfire… every time, doesn’t it? Boy, I can attest to that! Getting hold of our emotions and trusting in God to control outcomes is a discipline that comes with lots of practice. thanks Deanna!